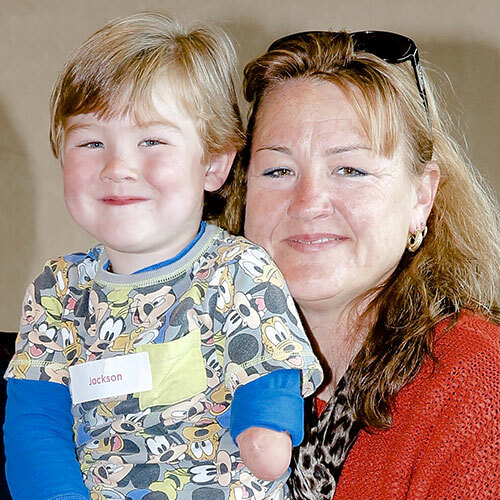 I decided to become a Peer Support Volunteer because my son has an upper limb difference following from an amputation. He’s 4 years old now and I have recent experience with those scary, and difficult development stages of crawling, learning to walk, self-feeding etc. Before all of that you wonder, as a parent, how your child will cope, handle and adapt to all manner of things. If I can support another family in any way, I’d like to offer that. The most rewarding part of the role as a volunteer is seeing what these kids can accomplish but also helping other family members get the right results too. I think peer support is very valuable for others. Emotionally it can be a minefield! Sometimes just another person who ‘gets it’ can help minimise concerns/fears and maximise enjoyment and outcomes. As a Peer Support Volunteer I’d like to be able to give something back for all of the amazing support and encouragement we have received so far on our journey. Also, we have a lot ahead of us and we’ll be seeking more support as our son progresses, so I feel being part of this community is a great starting point.